The Trump two-step. That’s how Washington Post columnist Fareed Zakaria describes President Donald Trump’s negotiating style. While the president’s flashy signature move has brought him a lot of attention, Zakaria says in his July 26 commentary, it doesn’t lead anywhere productive. Trump has used this gambit with North Korea, NATO, and the European Union, among others: “In none of these situations has he actually been able to extract real concessions,” Zakaria notes. While Trump’s supporters are thrilled by the president’s unconventional style, Zakaria says it comes with a cost. As a result, countries who once allied strongly with the U.S. are now looking elsewhere for partnerships. “You can see this in the flurry of trade agreements that don’t include the United States, from the Trans-Pacific Partnership, which was signed minus America, to the trade deal the EU just struck with Japan. 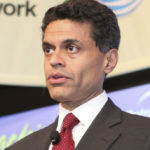 Many others are in the works,” says Zakaria. Another sign of discontent, he says, is the decline in foreign investment since Trump took office. “On average, net foreign investment into the United States has dropped by half since 2016,” Zakaria writes. Despite favorable policies under the administration that would otherwise make the U.S. appealing, global investors are wary. “Trump’s attacks on trade and allies, his willingness to punish and reward individual companies, and his general unreliability all add up to a picture of policymaking that looks more like that of an erratic developing country run by a strongman,” Zakaria concludes.